* For YP of the Year, we are looking for an individual who is 35 years old or younger that either works in the Anderson area or is positively impacting the area through volunteerism. Click HERE to download a copy of the Nomination Form. 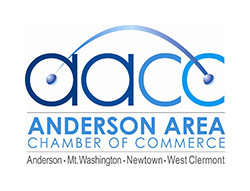 Join us for a great evening to include networking, heavy hors d' oeuvres, desert, and well deserved recognition for many outstanding individuals from the Anderson area. Call the Chamber office or click "Register Now" to make your online reservation today! !